Ring the Alarm! 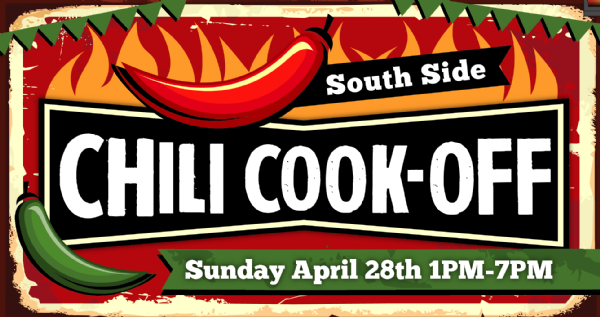 The South Side Chili Cook-Off 2019 is coming! The event takes place Sunday, April 28th 2019 from 1PM -7PM in Pittsburgh's historic South Side. View More Events Organized by Diana Rua Media. Diana Rua Media is an events, marketing, and promotions company located in Pittsburgh, PA. This event is organized by Diana Rua Media.